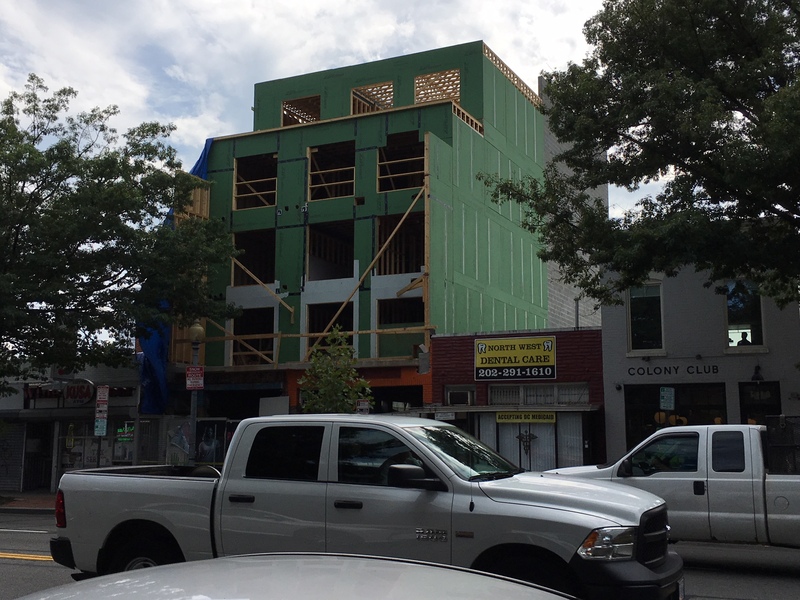 3110-3112 Georgia Avenue Finally Taking Shape | Park View, D.C. The new development at 3110-3112 Georgia Avenue has been slow going, but it finally appears to be taking shape I first noted it in August 2016 and saw demolition on the site in October 2017. According to the building permits, the new building will be 4 stories plus a penthouse and a cellar with 16 apartments and a ground floor of commercial space. Below is the current state of the building. It is located just a few doors down from Colony Club. This entry was posted on July 24, 2018 at 7:01 am and is filed under Development, Housing. You can subscribe via RSS 2.0 feed to this post's comments. a great development and a cool location (wish I could live next door to Colony Club); looks like it’s much better constructed than the one next to Timber, or that monstrosity at Sherman and Park. They have been cranking pretty hard on it for a long time. Unlike so many BS projects that happen in our area, they actually did proper underpinning of the adjacent properties. That work must be done by hand- one wrong move with an excavator and you risk knocking down other buildings. This is what it looks like when REASONABLE development occurs with consideration to the neighbors.